For over 40 years Manufacturers' Monthly has kept Australia’s manufacturing industry up to date with the latest industry news and developments. Delivering the critical information that Australian manufacturers rely on to stay competitive. 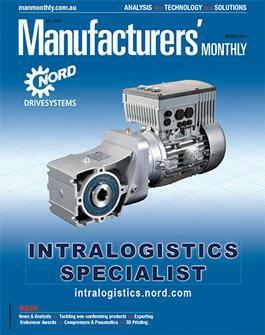 In every issue, Manufacturers' Monthly delivers contemporary management strategies, essential information technology news, in-depth application articles, indispensable exhibition previews, and the latest products from Australia and overseas, making the magazine essential reading for the industry's decision makers. Manufacturer's Monthly magazine will also include an annual subscription to Safety First magazine and Logistics and Materials Handling magazine FREE.